Trillium sessile, commonly known as Wood trillium, appears in spring as a rosette of three flecked leaves, which go on to frame a purple-red flower. Wood trillium is a beautiful North American woodland plant which grows slowly but surely in a humus-rich soil. 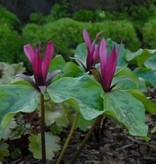 Trillium sessile has flecked leaves and is somewhat smaller than the other Trilliums. 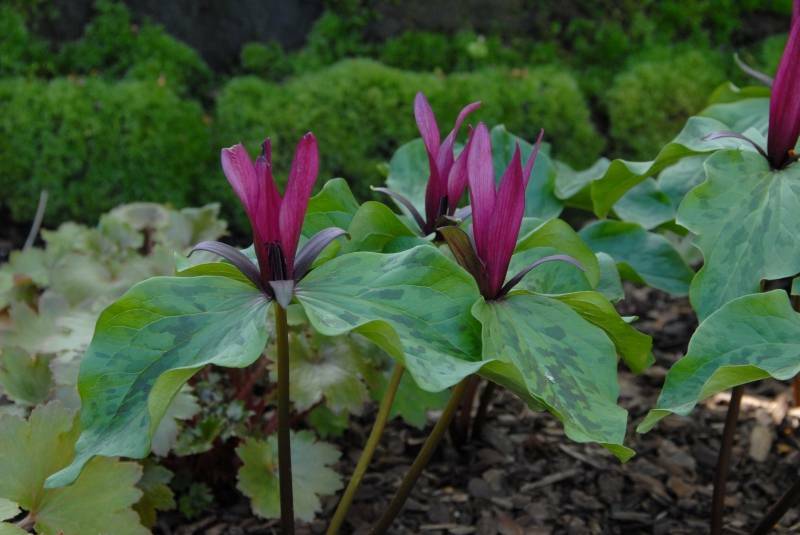 The rhizomes of Trillium are prone to drying out: after receiving please plant immediately. The rhizomes can be stored for a short amount of time in the fridge (frost free).